Mauricio Pochettino belongs alongside Pep Guardiola and Diego Simeone as one of the world's best coaches, according to Arsenal boss Unai Emery. Emery's side host Pochettino's Tottenham in the north London derby on Sunday, in a key game as both teams continue their top-four push in the Premier League. Ahead of the clash, Emery lauded his counterpart, saying Pochettino should be considered among the world's best. "His career is very consistent. His structure in every team is very clear, with good performances," he told UK newspapers. "He has worked in Spain, then here with Southampton and Tottenham, with young players, and every young player usually improves with him and his staff. "I think he deserves, because of his career, to be considered with the best coaches like Guardiola and Simeone." 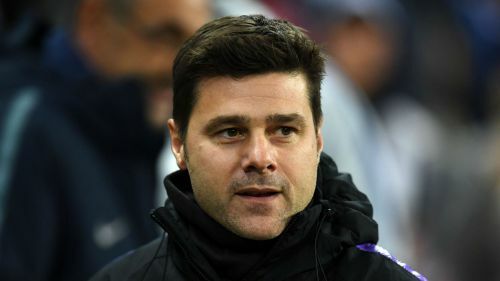 However, Pochettino, 46, is still waiting to win a first trophy as coach, while Manchester City manager Guardiola and Atletico Madrid's Simeone have enjoyed plenty of success in their careers. Pochettino has been linked with a move to Real Madrid previously, but Emery feels the Argentinian is content at Spurs. "At the moment, I think he is happy at Tottenham – and he has a lot of respect at the club," he said. "I don't know if it will happen. Every coach knows that their work depends on results and the team you are at. He's got a lot of respect from other coaches in the Premier League and he is doing very well at Tottenham. "They are in a good moment in their season but we want our supporters to see our best work and, in return, we want to feel them pushing us." Spurs are third in the Premier League table, but fifth-placed Arsenal can join them on 30 points with a win on Sunday.